In my last editorial (in the Medford Mail Tribune) I discussed the scourge in our government that is corporate lobby-ism and campaign finance. I’m sure that I ruffled a few feathers, but, hey, what fun would these editorials be if I couldn’t provoke a little thought and conversation? The next prime suspect that puts the funk in “dysfunctional government” is the fact that most Americans have bought into the notion that there are two different major parties that are working toward different goals, and this couldn’t be farther from the truth. Combine that myth with our broken campaign finance system, that allows politicians to be bought by the highest bidder, and you have a recipe for a potentially fatal collapse of society as we know it. It should also be noted that those two variables are intricately woven together. Before I get into the weeds of this issue, I’d like to state for the record that I am neither Republican nor Democrat. With the exception of the occasional change to participate in our closed primary elections, I am registered Independent. The malodorous aroma coming from both sides of the isle is complimentary to one another, however repugnant and foul that it is. I’d say it has a musk of wealth with some slight overtones of power. Truth is, most of our federal delegation, whether they’re Pubs or Dems, have one unified goal….and that’s to get reelected. With the slight of hand, they keep their bases arguing about hot-button issues like gun rights and global warming. Meanwhile, they work together to pass trade deals that gut the middle class by shipping jobs out of the US, adopting tax code that benefits the wealthiest class that which, in return, fund their election bids, voting to unilaterally invade a country that had not attacked us, and continue to maintain reluctant to reform detrimental policies, like the tax code and campaign finance reform. 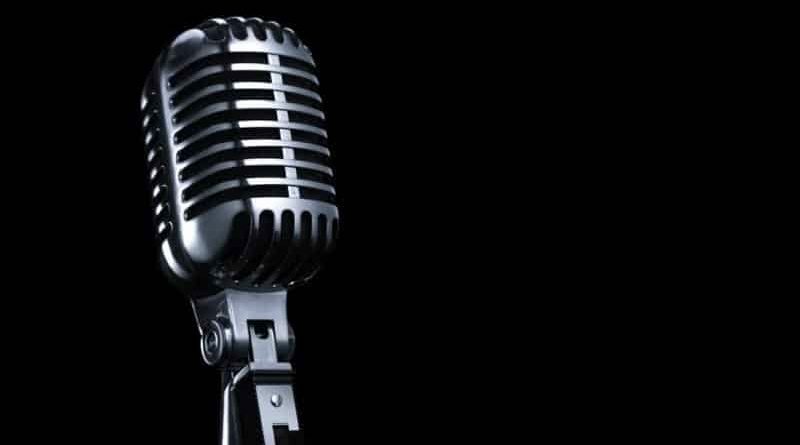 To quote the late great Robert Nesta Marley, “You can fool some people sometime, but you can’t fool all the people all the time.” Millions of people seem to now see the light, and they are beginning to stand up for their rights. Just take a look at what has become one of the wackiest presidential races in modern history. The presumptive “Republican” presidential nominee is a misogynist xenophobe with less governmental experience than me. On the “Democrat” side, there’s a fist to cuff battle between an establishmentarian candidate that should have to wear a NASCAR-style jacket to advertise her corporate sponsors, and an Independent Vermont senator, and self avowed democratic socialist, that wants to “take back the power from special interest and give it to the people”. Obviously, not every registered Republican wants their candidate to “build a wall and make Mexico pay for it”, and not every registered Democrat wants their candidate to “raise the minimum wage to $15/hr”, or “give away free stuff”. To me, the resounding message from this partisan upheaval is that people are sick of the status quo, of the career politicians that get top notch healthcare for the rest of their lives, sick of carrying the tax burden while giant multinational corporations get billions in “corporate welfare”, sick of the self-imposed paralysis of the “two party” democratic system… sick, sick ,sick. And the sickness spans all party lines. Now, let’s turn that frown upside down. The silver lining in all this dysfunction is that Republicans, Democrats, and everyone in between, are all unified in this disdain. And if there is one message that I hope to convey in this editorial, it is the need to focus on that unity, and vote for the candidates and not the party. Because, as previously mentioned, both “party’s” representatives are working toward the same goal. If people are as dissatisfied as their primary votes indicate, then perhaps they should reconsider their political affiliation. I can assure you that there are politicians out there that are capable of protecting our second amendment rights, and the environment, at the same time. 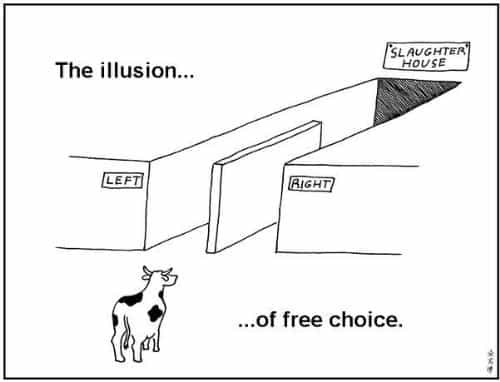 Unfortunately, our current two party system doesn’t afford realistic approaches to societal issues. There are 469 congressional seats up for election this year. Thirty four of them are senate seats and the other 435 are house seats. If people want to send a message to Washington, then they should vote out the “career” politicians and give someone else a chance to represent. Or, perhaps, the people should start petitioning to set the same term limits that the President is restricted to. God knows that congress isn’t going to do it on their own accord. Whatever people do this election year, they should keep their eye on the ball and not get distracted by the partisan fervor that keeps us divided. And, that might entail turning the damn TV off! The mainstream media has already picked their candidate. In fact, I think they have their badges on her NASCAR-style jacket. 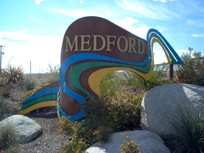 These views and opinions are solely expressed by Clay Bearnson and do not reflect the views of the council nor the City of Medford, or this publication or website. 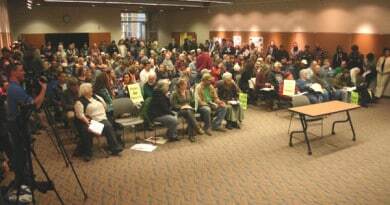 © 2016 Oregon Cannabis Connection & occnewspaper.com. All rights reserved. 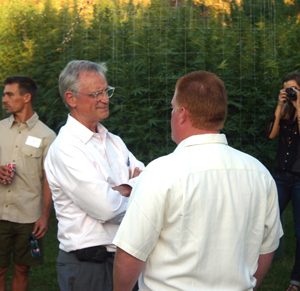 Congressional Fundraiser in a Marijuana Garden! 09/01/2015 Keith Mansur Comments Off on Congressional Fundraiser in a Marijuana Garden! Thank you Clay, for a well written editorial. While I am a supporter of Bernie Sanders I appreciate your comments. We certainly do need a united people, not divided.